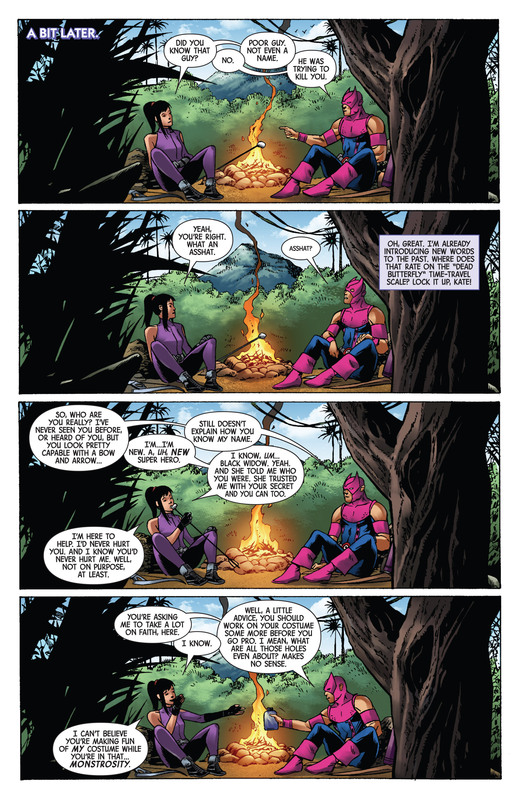 Marvel Comics Legacy and Secret Empire Spoilers follow for Generations: Hawkeye and Hawkeye #1, The Archers. 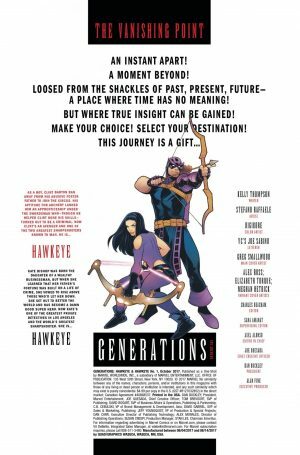 The summary page and Vanishing Point poem. 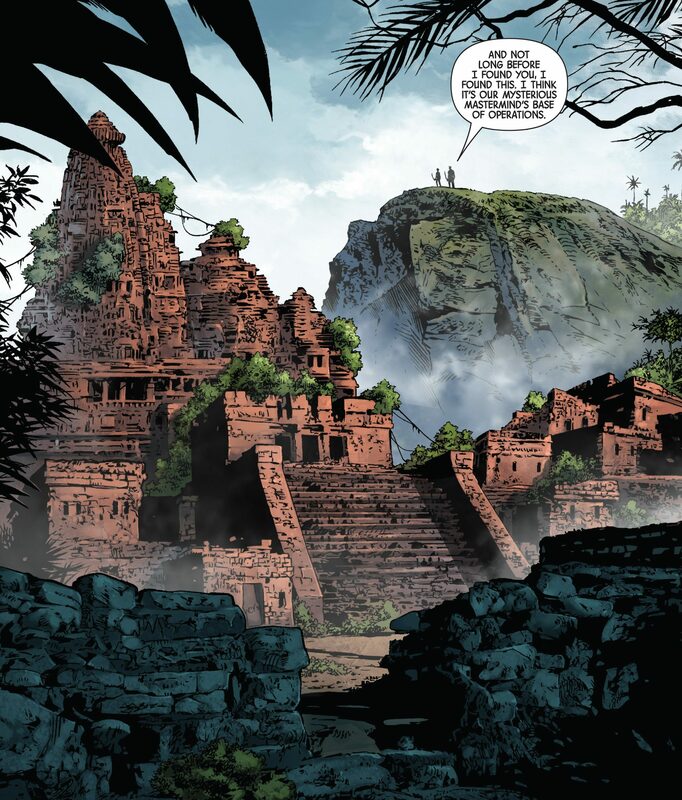 We know these trips through time stem from Secret Empire #10. 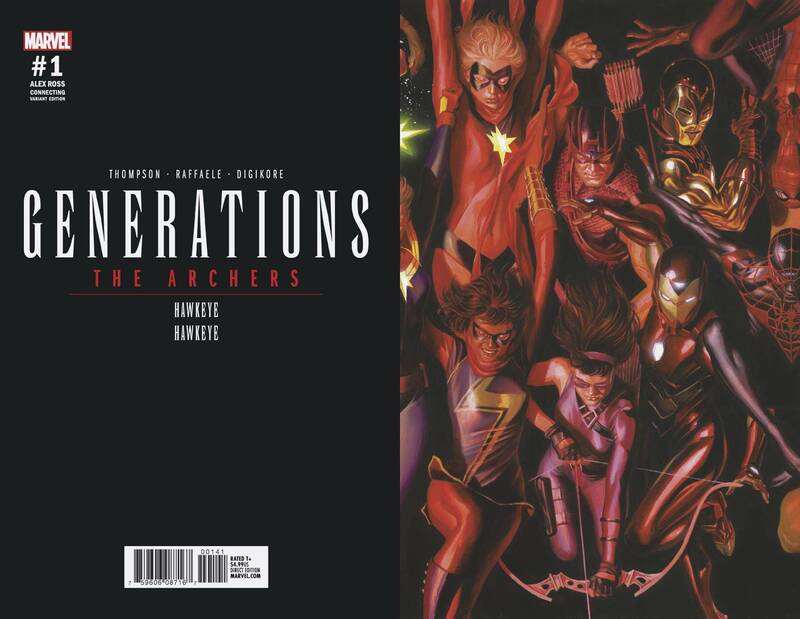 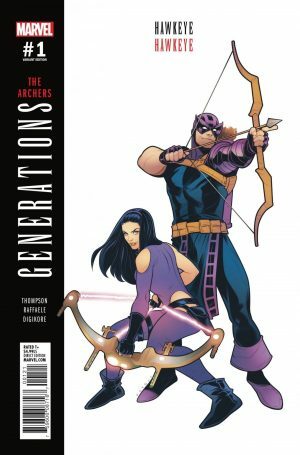 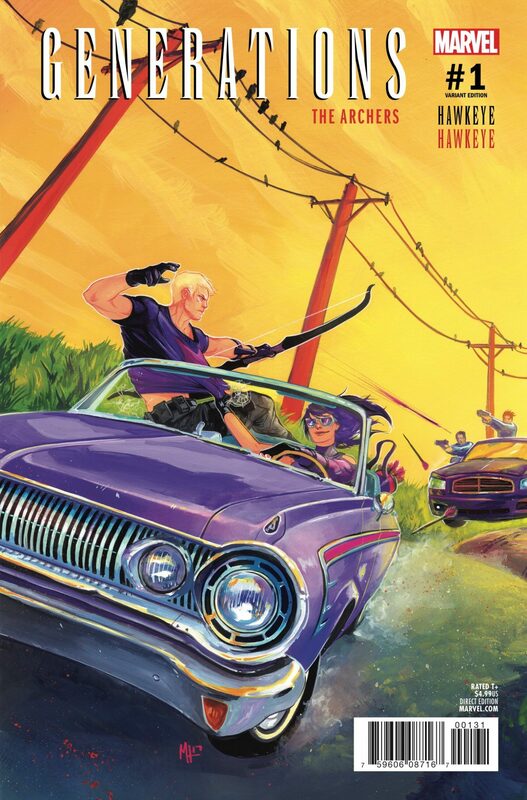 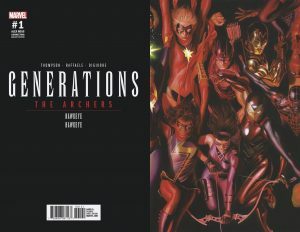 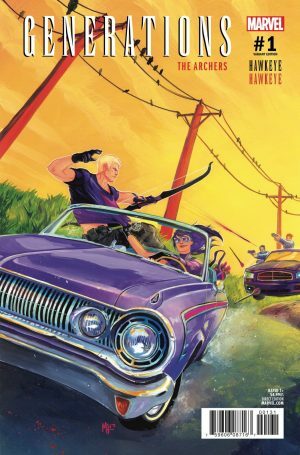 Anyhow, with that, let’s get into Generations Hawkeye and Hawkeye #1, The Archers! 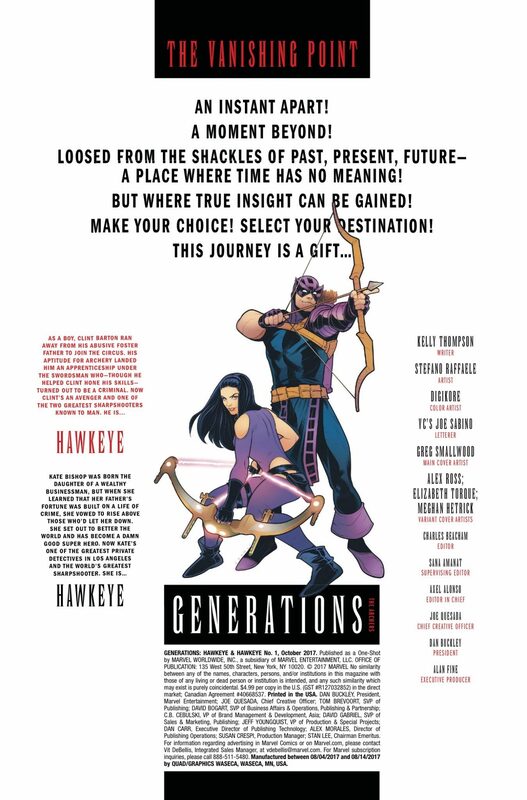 …a younger version of her mentor Clint Barton aka the original Hawkeye. They get to trust one another with Kate Bishop revealing that she knows a lot about Clint Barton as she has been briefed by a mutual friend the Black Widow aka Natalia “Natasha” Romanova. As they search the island Clint explains what’s the deal; several of the world’s best hunters, marksmen, etc. 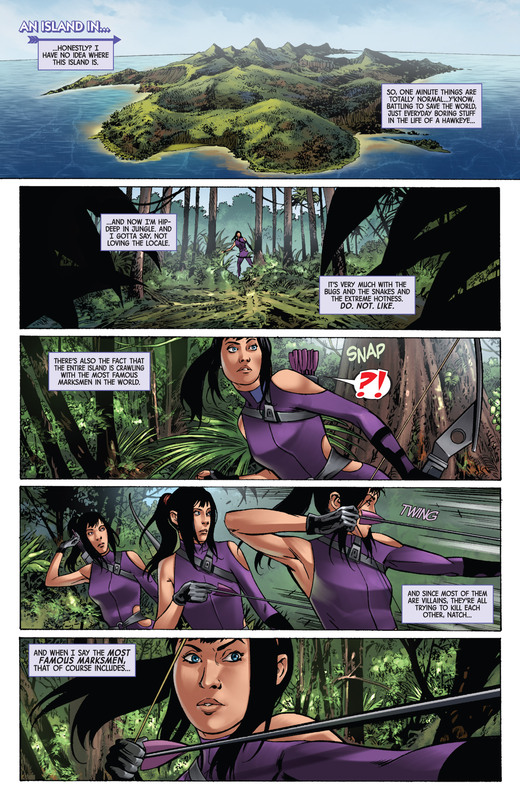 have descended on the island in response to a context to determine the best with a sizable monetary prize at the end. 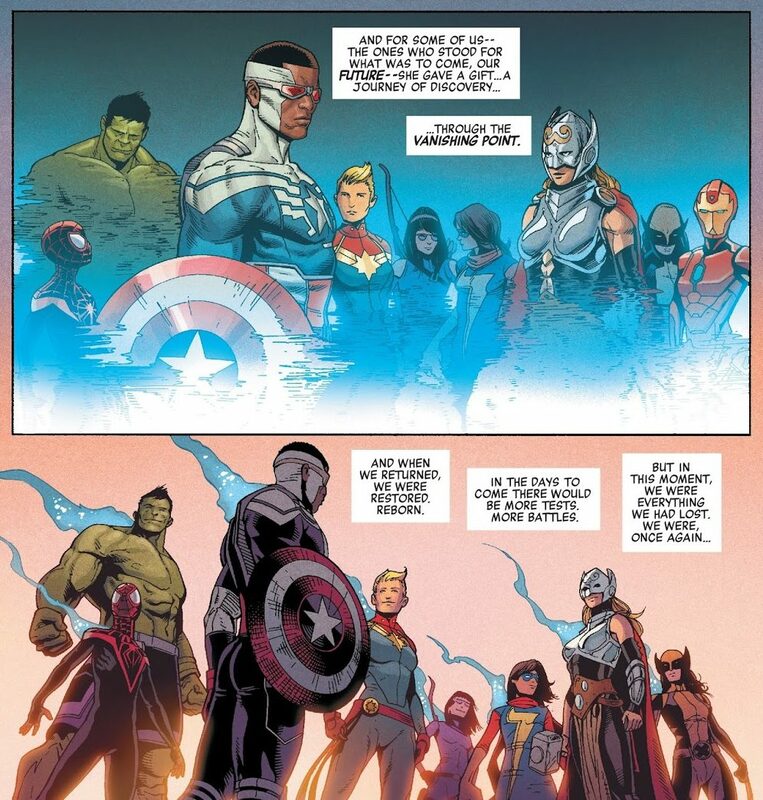 …are confronted by Clint Barton’s mentor the Swordsman aka Jacques Duquesne. 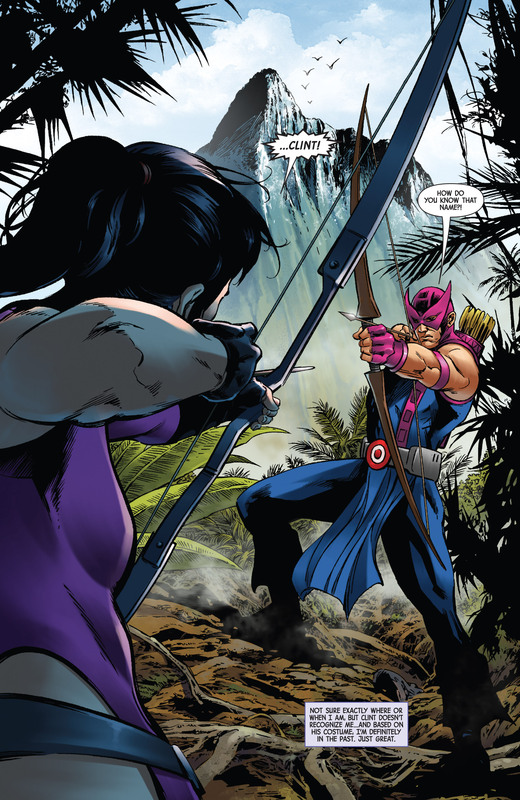 He is also trapped on the island a dupe for this contest. 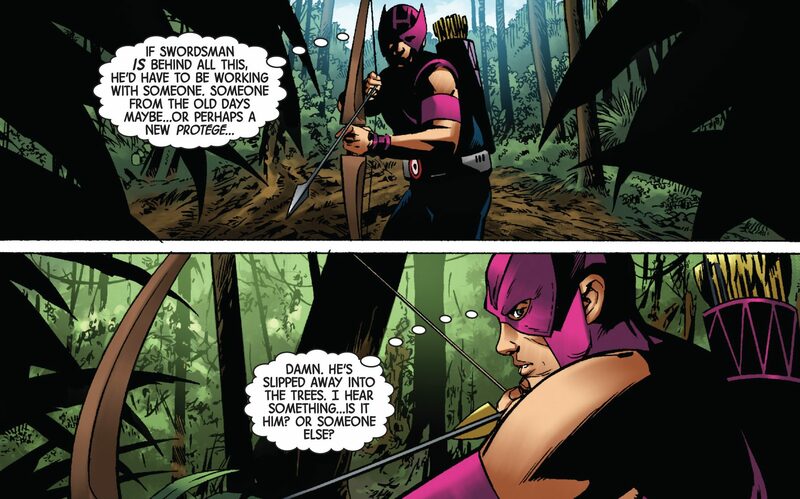 Clint doesn’t trust him, but needs him to put an end to the contest. 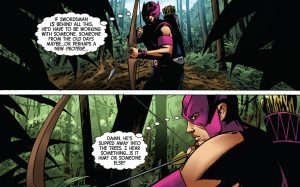 Hawkeye tells Hawkeye not to trust the Swordsman. …he is attacked by the Taskmaster aka unrevealed. 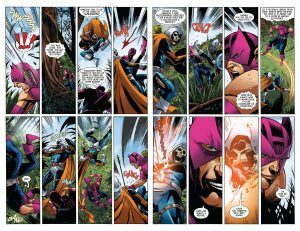 A battle ensures culminating with Hawkeye hitting the belt target and sending Taskmaster elsewhere. At the hq Kate Bishop discovers the Swordsman really is behind this with an new mentee in Eden as well as accomplice Crossfire. 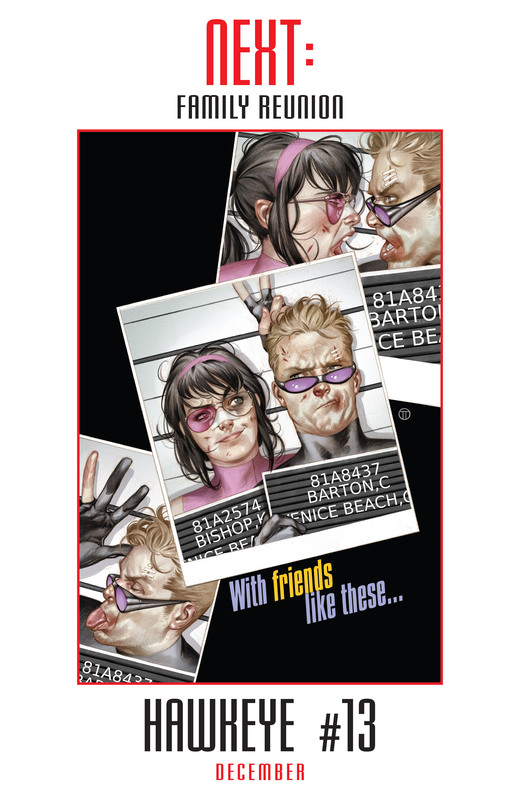 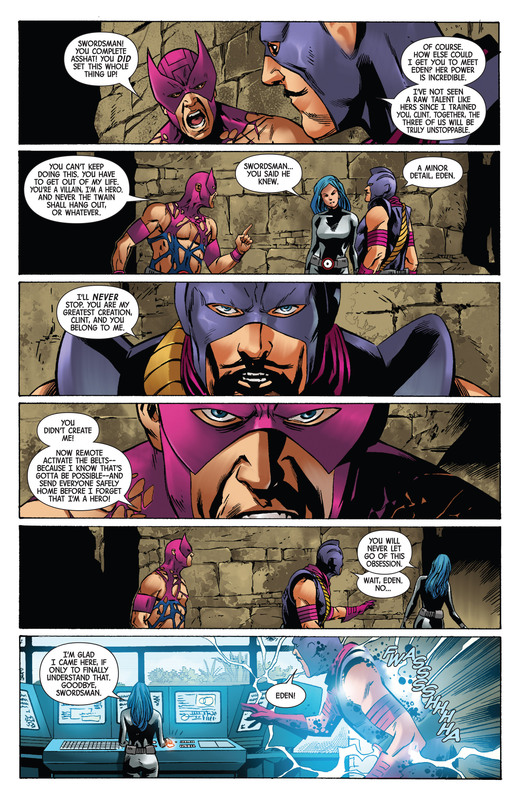 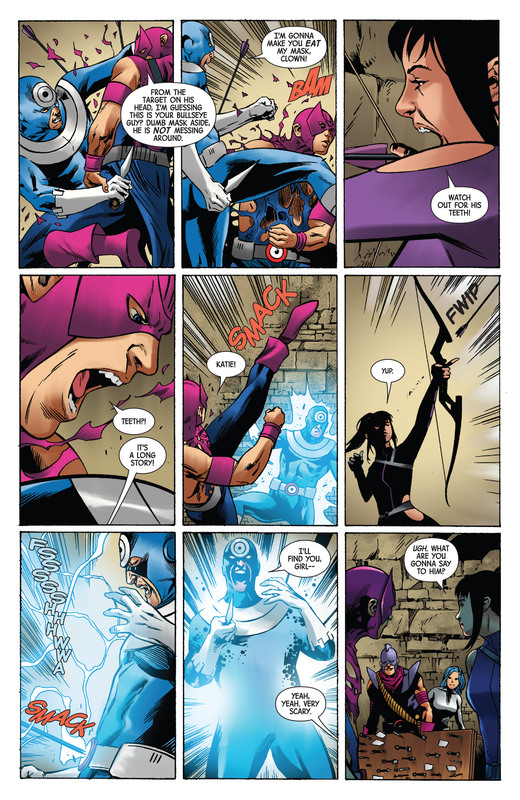 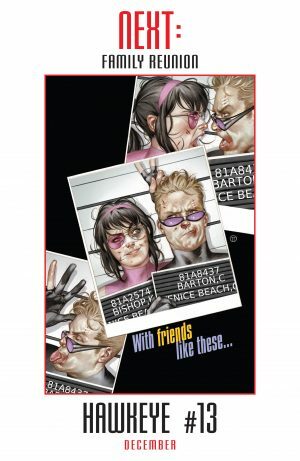 …it’s Bullseye aka Lester (last name unrevealed) who a returning Clint Barton with a big assist by Kate Bishop defeats! 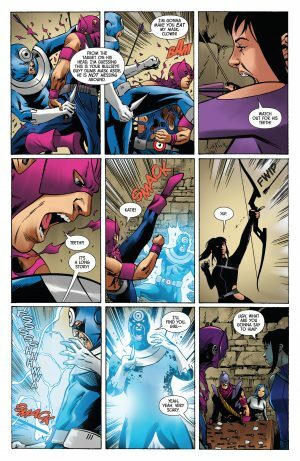 Bullseye promises revenge on Kate Bishop (which perhaps may carry through to her and Clint’s Marvel Legacy series). 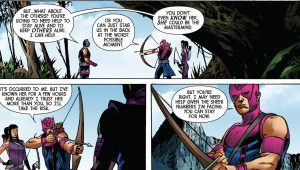 The Swordsman reveals he orchestrated all this so he, his new apprentice Eden and Hawkeye can team up and dominate Marvel. 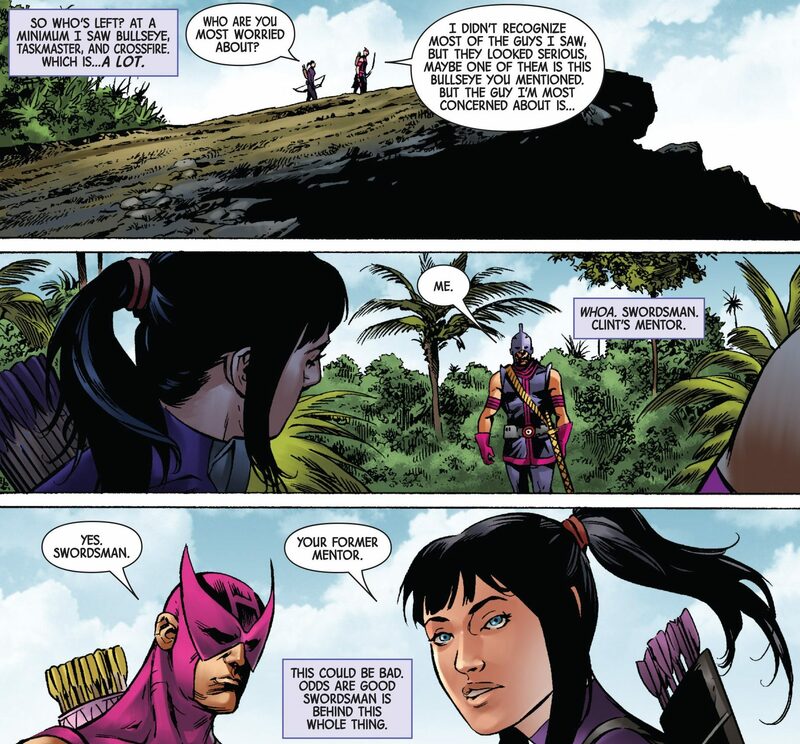 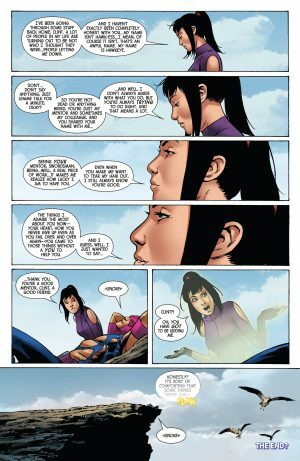 Eden was told by Swordsman that Clint was in the know, but he wasn’t, and she’s had enough of all this and sends Swordsman packing apologizing to Clint Barton for the day’s shenanigans. 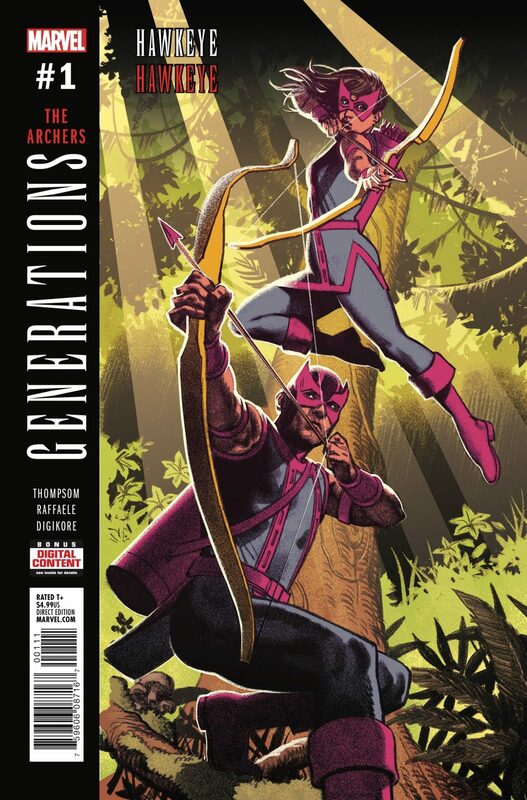 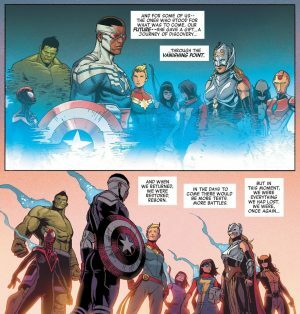 …queue tease for their modern-day Marvel Legacy series as Kate Bishop fades out of the Vanishing Point and back into Secret Empire #10. A fun issue with the most intriguing past adventure so far.